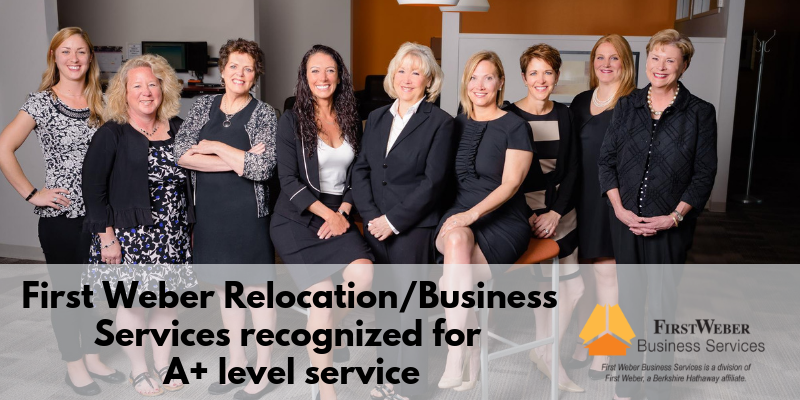 First Weber Relocation/Business Services was recently recognized by Sirva Relocation for superior, A+ service for 2018’s 3rd quarter. Sirva Relocation, LLC is a third party relocation company providing solutions to corporations and governments in the United States and internationally. Services include home purchase and home sale solutions to buyers and sellers, as well as providing household goods moving. Congratulations to the Relocation/Business Services team on a job well done!